The network of right-wing foundations, the corporations that fund them, and the journalists who echo their claims have created a tremendous problem for American science. A recent academic study found that of the fifty-six “environmentally skeptical” books published in the 1990s, 92 percent were linked to these right-wing foundations (only thirteen were published in the 1980s, and 100 percent were linked to the foundations). Scientists have faced an ongoing misrepresentation of scientific evidence and historical facts that brands them as public enemies – even mass murderers – on the basis of phony facts. There is a deep irony here. One of the great heroes of the anti-Communist political right wing – indeed one of the clearest, most reasoned voices against the risks of oppressive government, in general – was George Orwell, whose famous 1984 portrayed a government that manufactured fake histories to support its political program. Orwell coined the term “memory hole” to denote a system that destroyed inconvenient facts, and “Newspeak” for a language designed to constrain thought within politically acceptable bounds. All of us who were children in the Cold War learned in school how the Soviet Union routinely engaged in historical cleansing, erasing real events and real people from their official histories and even official photographs. The right-wing defenders of American liberty have now done the same. The painstaking work of scientists, the reasoned deliberations of the President’s Science Advisory Committee, and the bipartisan American agreement to ban DDT have been flushed down the memory hole, along with the well-documented and easily found (but extremely inconvenient) fact that the most important reason that DDT failed to eliminate malaria was because insects evolved. That is the truth-a truth that those with blind faith in free markets and blind trust in technology simply refuse to see. The rhetoric of “sound science” is similarly Orwellian. Real science – done by scientists and published in scientific journals – is dismissed as “junk,” while misrepresentations and inventions are offered in its place. Orwell’s Newspeak contained no science at all, as the very concept of science had been erased from his dystopia. And not surprisingly, for if science is about studying the world as it actually is – rather than as we wish it to be – then science will always have the potential to unsettle the status quo. As an independent source of authority and knowledge, science has always had the capacity to challenge ruling powers’ ability to control people by controlling their beliefs. Indeed, it has the power to challenge anyone who wishes to preserve, protect, or defend the status quo. Lately science has shown us that contemporary industrial civilization is not sustainable. Maintaining our standard of living will require finding new ways to produce our energy and less ecologically damaging ways to produce our food. Science has shown us that Rachel Carson was not wrong. This is the crux of the issue, the crux of our story. For the shift in the American environmental movement from aesthetic environmentalism to regulatory environmentalism wasn’t just a change in political strategy. It was the manifestation of a crucial realization: that unrestricted commercial activity was doing damage-real, lasting, pervasive damage. It was the realization that pollution was global, not just local, and the solution to pollution was not dilution. This shift began with the understanding that DDT remained in the environment long after its purpose was served. And it grew as acid rain and the ozone hole demonstrated that pollution traveled hundreds or even thousands of kilometers from its source, doing damage to people who did not benefit from the economic activity that produced it. It reached a crescendo when global warming showed that even the most seemingly innocuous by-product of industrial civilization – CO2, the stuff on which plants depend – could produce a very different planet. To acknowledge this was to acknowledge the soft underbelly of free market capitalism: that free enterprise can bring real costs – profound cost – that the free market does not reflect. Economists have a term for these costs – a less reassuring one than Friedman’s “neighborhood effects.” They are “negative externalities”: negative because they aren’t beneficial and external because they fall outside the market system. Those who find this hard to accept attack the messenger, which is science. We all expect to pay for the things we buy – to pay a fair cost for goods and services from which we expect to reap benefits – but external costs are unhinged from benefits, often imposed on people who did not choose the good or service, and did not benefit from their use. They are imposed on people who did not benefit from the economic activity that produced them. DDT imposed enormous external costs through the destruction of ecosystems; acid rain, secondhand smoke, the ozone hole, and global warming did the same. This is the common thread that ties these diverse issues together: they were all market failures. They are instances where serious damage was done and the free market seemed unable to account for it, much less prevent it. Government intervention was required. This is why free market ideologues and old Cold Warriors joined together to fight them. Accepting that by-products of industrial civilization were irreparably damaging the global environment was to accept the reality of market failure. It was to acknowledge the limits of free market capitalism. Orwell understood that those in power will always seek to control history, because whoever controls the past controls the present. So our Cold Warriors – Fred Seitz and Fred Singer, Robert Jastrow and Bill Nierenberg, and later Dixy Lee Ray, too, who had dedicated their lives to fighting Soviet Communism, joined forces with the self-appointed defenders of the free market to blame the messenger, to undermine science, to deny the truth, and to market doubt. People who began their careers as fact finders ended them as fact fighters. Evidently accepting that their ends justified their means, they embraced the tactics of their enemy, the very things they had hated Soviet Communism for: its lies, its deceit, its denial of the very realities it had created. Why would any scientist participate in such a fraud? We’ve seen that Steve Milloy and John Tierney, the Competitive Enterprise Institute and the Heartland Institute, were late entries in this tournament, echoing arguments that had been first constructed by scientists. Our story began in the 1950s, when the tobacco industry first enlisted scientists to aid its cause, and deepened in the 1970s when Frederick Seitz joined forces with tobacco, and then with Robert Jastrow and Bill Nierenberg to defend the Strategic Defense Initiative. It continued in the early 1980s as Fred Singer planted the idea that acid rain wasn’t worth worrying about, and Nierenberg worked with the Reagan White House to adjust the Executive Summary of his Acid Rain Peer Review Panel. It continued still further, and turned more personal, in the 1990s as the Marshall Institute, with help from Singer and Ray, challenged the evidence of ozone depletion and global warming and personally attacked distinguished scientists like Sherwood Rowland and Ben Santer. Why did this group of Cold Warriors turn against the very science to which they had previously dedicated their lives? Because they felt – as did Lt. General Daniel O. Graham (one of the original members of Team B and chief advocate of weapons in space) when he invoked the preamble to the U.S. Constitution – they were working to “secure the blessings of liberty.” If science was being used against those blessings – in ways that challenged the freedom of free enterprise – then they would fight it as they would fight any enemy. For indeed, science was starting to show that certain kinds of liberties are not sustainable – like the liberty to pollute. Science was showing that Isaiah Berlin was right: liberty for wolves does indeed mean death to lambs. — Naomi Oreskes is a professor of history and science studies at the University of California, San Diego. She has written numerous articles and book chapters on the history of the geological sciences, climate change controversies, and the relationship between science and public policy. — Erik Conway is a historian of science and technology at NASA’s Jet Propulsion Laboratory at the California Institute of Technology. In addition to Merchants of Doubt, Conway is the author of several books including High-Speed Dreams (2005), Realizing the Dream of Flight (2006), Blind Landings (2007), Science and Exploration (2007), and Atmospheric Science at NASA (2008). Excerpted with permission from Merchants of Doubt by Naomi Oreskes & Erik Conway. Available from Bloomsbury Press. Copyright © 2012. You’ve got to be kidding. Every government funded science is a monarch-monopolist agenda driven fraud….including Carbon climate forcing, ‘sustainable’ energy, ‘peak’ oil and big bang, just to name a few. Visit FauxScienceSlayer.com for Truth on these and other big Orwellian lies….the false paradigm of liberal-conservative or DNC-RINO is just a puppet show for the unwashed masses. 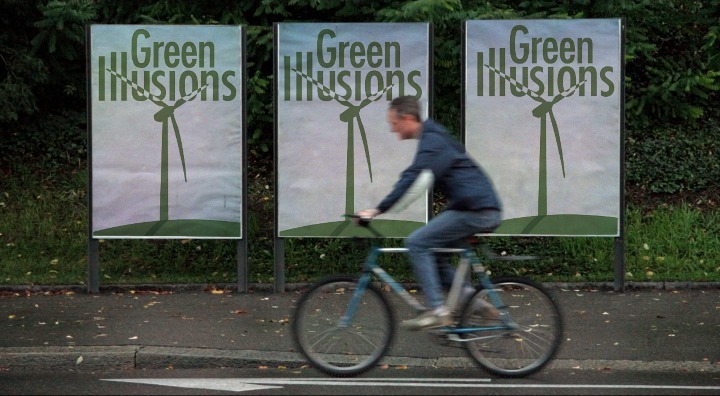 Look forward to receive updates, currently reading Green Illusions to be used as reference that I will use in my next presentation to environmental professionals in Puerto Rico.